Broken car keys are never good news! They cause annoyance, hassle and insecurities! They also cause lockouts! Being locked out of your own vehicle is hardly pleasant. The bad news is that such incidents often lead to tragedies, especially when you can't get the car door unlocked due to problems and a child is locked in. Our company doesn't let simple problems turn to such unfortunate incidents or even nightmares. 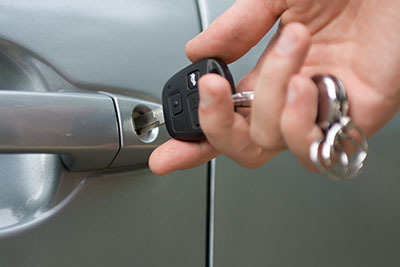 Car Key Locksmith Houston guarantees fast assistance, around the clock service and expert technicians. Whether you forgot the car keys locked in the trunk or there is a problem with the locks, our team promises to help you in just minutes as our technicians are mobile and travel fully equipped. When urgent situations make your life difficult, you can count on us. As specialists in car lock repair, we promise immediate car lockout service. Unlocking a car door is hardly easy today. It demands special tools and knowhow due to the complexity of the sophisticated vehicle systems. That's why our technicians are trained and knowledgeable of the latest changes on the market and travel carrying advanced equipment in their trucks. Lockouts are caused from lost, broken or damaged keys, conflict with the security system, fob problems or lock issues. They are not solved with average tools and knowledge. Rest assured that our technicians have exceptional skills and are familiar with the security systems of all vehicles. They utilize their expertise in order to unlock the door or trunk, fix the lock and replace the key. Having a Problem with your Car Key? Any problem with the auto keys will simply lock you out. Give us a call! As experts in all vehicle systems, our professionals have solutions and also the capacity to help you in timely fashion. We offer transponder key programming and replacement, pick the locks with attention so that they won't be damaged, extract the broken ones from the door lock or the ignition and fix any related issue. What's important is that our team is able to offer fast car lockout services and guarantee the security of your vehicle. Trust our company for services related to transponder, laser and vat keys. Our knowledge is ensured, our knowhow guaranteed and our equipment has tremendous potentials. You can certainly trust our professionals for their fast response and abilities, but also for their reliability. Not only will we be at your location as fast as possible, but our technicians will make sure the problem led to your lockout in the first place is fixed on-site, to your satisfaction and efficiently. After years in this field and constant training, our specialists are able to open locked doors, make and program keys, and fix any related problem. Do call our number anytime! Lost My Car Keys! Now What?